What do you mean AFLW starts this weekend? Season three of AFLW commences this weekend, with an opening round fixture between the Geelong Cats and Collingwood. 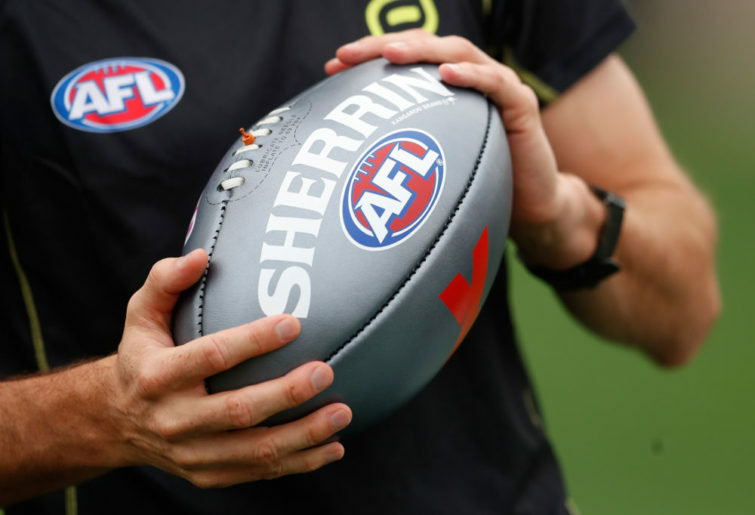 Two additional teams have joined the competition – North Melbourne and Geelong – expanding the total number of teams to ten. Plenty of fan favourites return, including the likes of Amanda Farrugia, Sarah Perkins, Lauren Arnell, Emma Zielke, Brianna Davey, Darcy Vescio, Steph Chiocci, Gemma Houghton and Mel Hickey. 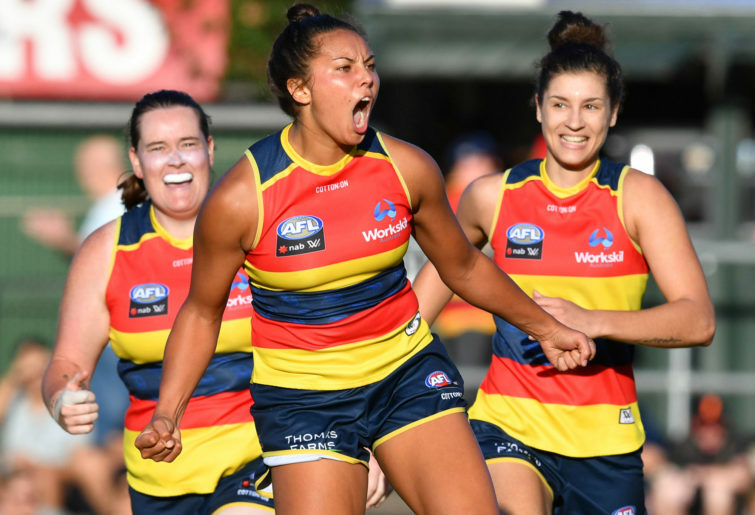 Additionally, in an environment where women’s sport continues to go from strength to strength, AFLW has the opportunity to cement itself as the competition Australia should be watching in February. But you could be forgiven for not knowing any of this, because when it comes to marketing the new season, those at AFL House have been close to silent. And this makes me really angry. Our sporting bodies need to properly invest in women’s competitions so they can reap the rewards (look at the WBBL, which is now charging an entry fee and selling out finals fixtures). The disregard that the AFL continues to show AFLW is disgusting; from memos asking coaches to rethink their strategy to produce higher scoring games, to increasing the number of teams in the competition while at the same time reducing the number of games played. Not to mention the insulting decision to launch a rival product (AFLX) at the same time that the AFLW is meant to take centre stage. Why does the AFL continue to invest in AFLX when there is little to no interest in it? The tournament drew a combined crowd of 42,730 across three days last year, while the AFLW game between the Fremantle Dockers and Collingwood was played in front of 41,975. One AFLW game almost eclipsed an entire three-game tournament. Why would you have two competitions played side by side and reduce your potential audiences for both by making fans pick? It doesn’t make sense. Then there’s the debacle around coaching. Last year, the AFLW had two female coaches in Bec Goddard (Adelaide Crows) and Michelle Cowan (Fremantle Dockers) who both decided to part ways with their respective clubs. It became too challenging for Goddard to find three months a year to coach in the AFLW, while maintaining her full-time job and private life – unless the Crows were willing to give her a full-time, permanent position. Goddard and Cowan have also hinted at the challenges they face as female coaches. Perhaps I could have let last year be last year if I had seen more of an effort from the AFL. But the only mainstream promotion I’ve seen is an ad that was launched last week, and the work the clubs have been doing on social media. My social media feed is dominated by sport. If I am unaware that you are doing something or that your competition is starting, then you can bet your bottom dollar that a lot of other people don’t know either – especially casual fans who you are looking to introduce to the game for the first time. As far as I’m concerned, the big sporting event happening this weekend is the Sydney sevens. This lack of support from the mainstream media and the folks at AFL House only reinforces to me that the AFL do not take the AFLW seriously. When it comes to women’s sport, we are not in competition. Each of the codes can learn from each other, share ideas and challenge each other to do better. So perhaps the AFL could learn from Cricket Australia’s brilliant ‘Watch Me’ campaign, or their decision to charge entry for this year’s WBBL. Or what about the NRLW, whose media teams ensured that whatever content was created for the NRL teams (team lists, post-match interviews, fantasy scores) were replicated for the women. I want to thank those who don’t consider themselves mainstream media for their support of the AFLW. Podcasts like the ‘Outer Sanctum’ and journalists like Kate O’Halloran continue to push the competition forward and I know how grateful the players are for their support. But it shouldn’t be up to the alternative media – the AFL should be doing much more, because their athletes deserve it. Season one of the AFLW was one of the most organic, beautiful, talked-about competitions I have had the pleasure of watching. But if the AFL continue in the manner they have been proceeding, all goodwill will be lost.